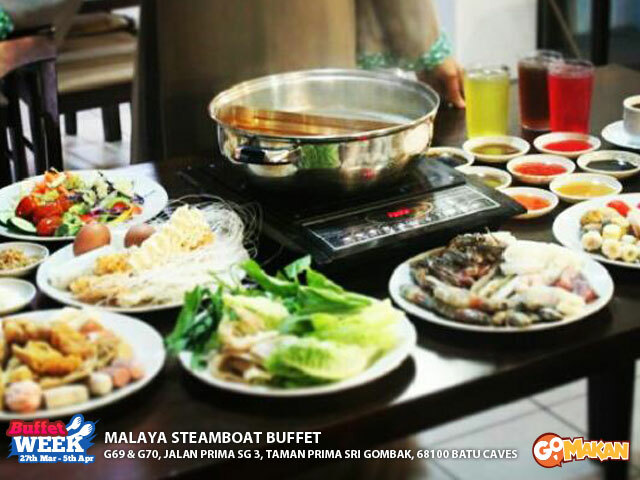 Steamboat – sometimes known as hot pot or to the Chinese as “da pin lou” – is a meal Malaysians regularly partake in with friends or family. Food is cooked in a flavourful broth in a communal pot shared between all diners, steamboat really brings everyone around the table closer together. Put together steamboat and a buffet style spread and you have a winning formula! This time we will introduce to you places where you can whip up a warm pot of delicious goodness with friends or family with free flow food – steamboat buffets! 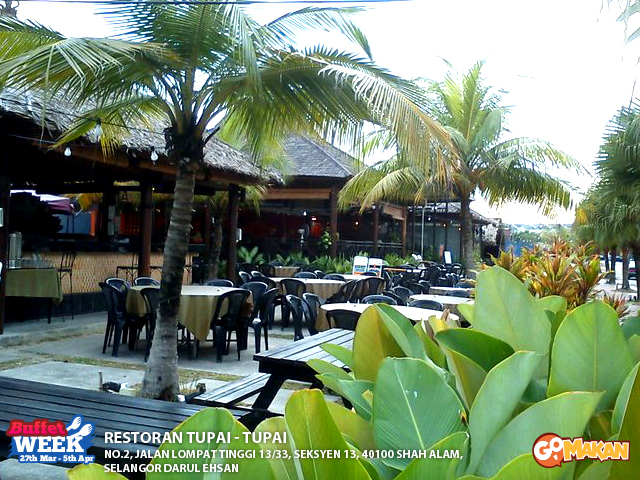 Location: Platinum Walk, Danau Kota, Setapak; Bandar Sunway; Seksyen 33, Shah Alam. Hours: 5pm to 12 midnight daily. 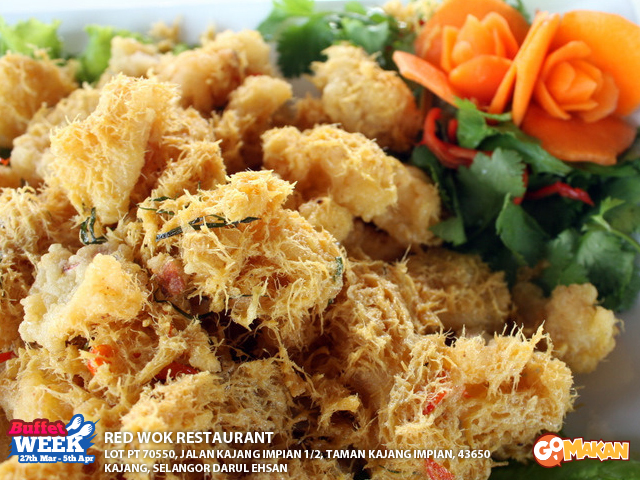 Serving up to a total of 150 cooked dishes and ingredients for steamboat such as crabs, prawns, fish fillets, chicken fillets, mussels, scallops, squid, and even a chocolate fondue for fruits and desserts. Patrons of the buffet are entitled to free-flow beverages. Hours : 11am-2.30pm & 5pm-10.30pm (Monday-Thursday) / 4pm-11pm (Friday and Saturday), closed on Sundays. 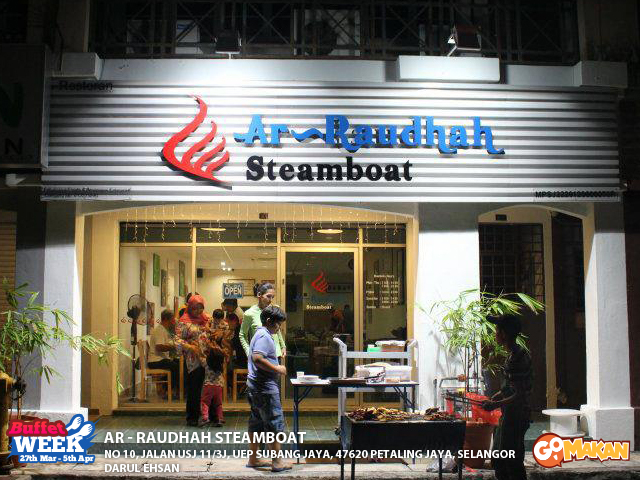 The best time to go to Ar-Raudhah is either on Fridays or Saturdays because not only is their Ar-Raudhah special steamboat soup base available only during those days (at other times there’s either the chicken or tomyam soup available for steamboat), Fridays and Saturdays are when Ar-Raudhah fires up their grill for lamb chops, grilled chicken, beef patties and other BBQ delights in addition to their steamboat buffet. 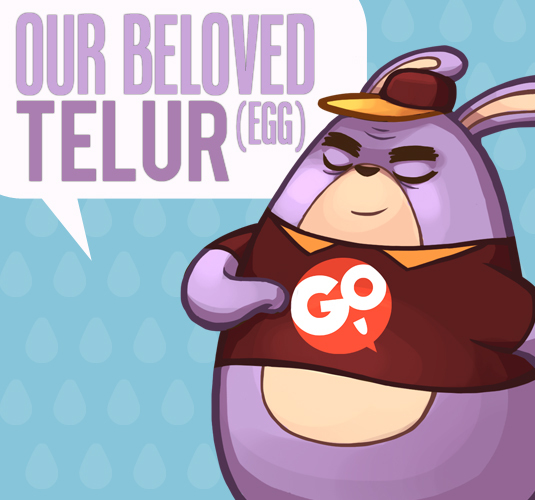 Address : G69 & G70, Jalan Prima SG 3, Taman Prima Sri Gombak, 68100 Batu Caves, Kuala Lumpur. Price : RM26.70+ for adults & RM10.50+ for children 4-12 years old. 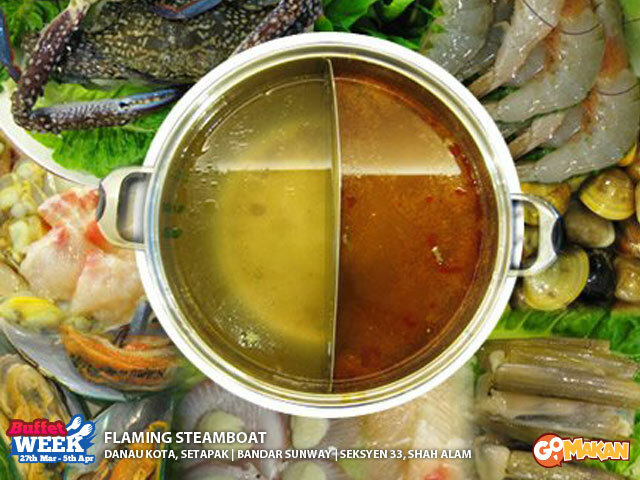 The steamboat buffet here comes with a half and half pot with clear soup in one side and tomyam in the other. 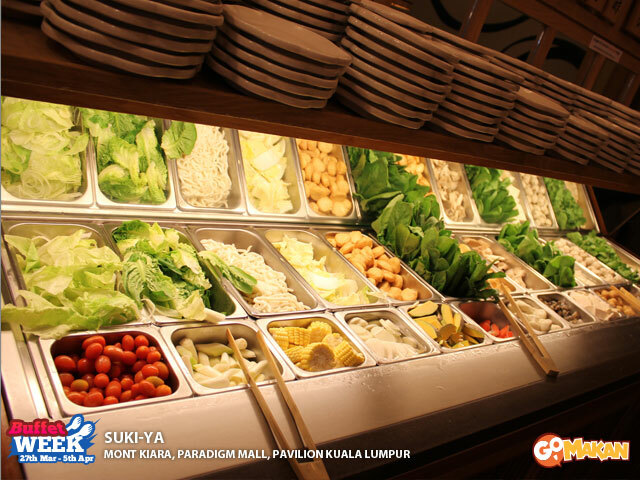 Choose from a myriad of ingredients like seafood, processed food, vegetables, noodles and more for your steamboat dinner! Address : Lot PT 70550, Jalan Kajang Impian 1/2 Taman Kajang Impian. 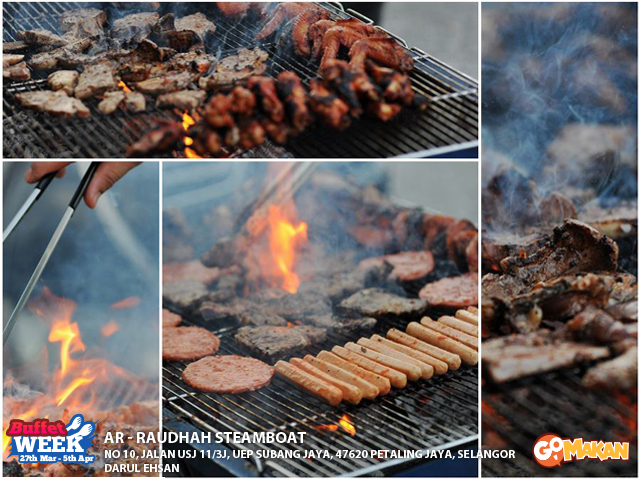 Customers can choose either a regular steamboat buffet or a grill + steamboat combo buffet. 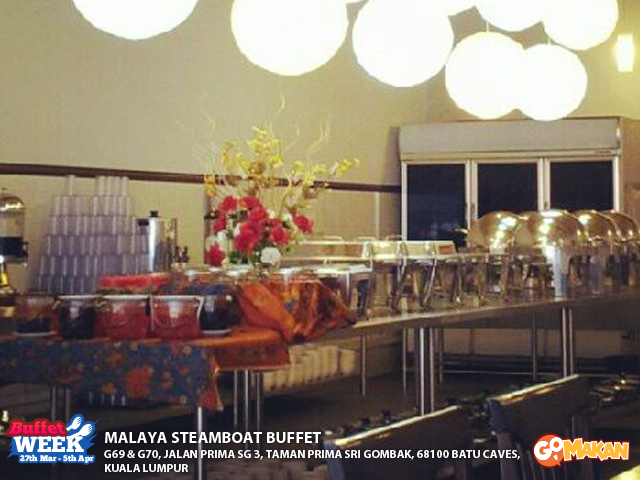 Besides their regular steamboat buffet Red Wok Restaurant also serves halal Chinese and Thai a la carte dishes. Address : No.9, Jln PJS 8/18, Dataran Sunway Mentari 46150 Petaling Jaya, Selangor. Price: RM28.80+ per adult, RM15.80+ per child. Variety is the spice of life, and food as well! 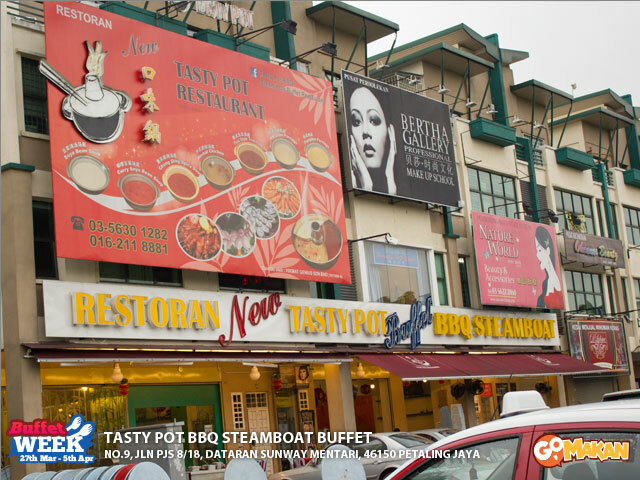 Tasty Pot has six soup choices for their steamboat buffet; the unusual ones are soya, curry soya and porridge. 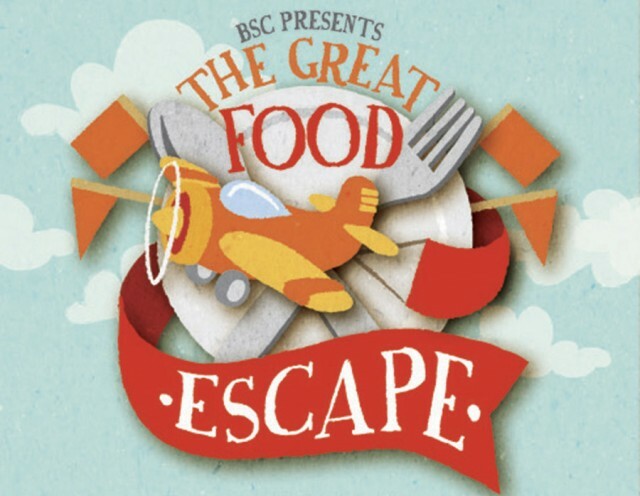 Their impressive buffet spread consists of crabs, prawns, clams, fish, mushrooms, vegetables, noodles, fish cakes, and not forgetting their grill station which serves lamb, fish, and grilled crabs. 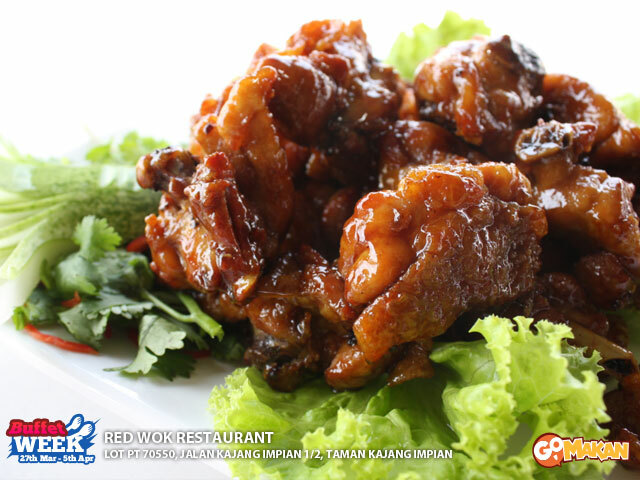 Address :No.2, Jalan Lompat Tinggi 13/33, Seksyen 13, 40100 Shah Alam, Selangor. Price: RM28+ per adult, RM15+ for children age 4-10 years old. 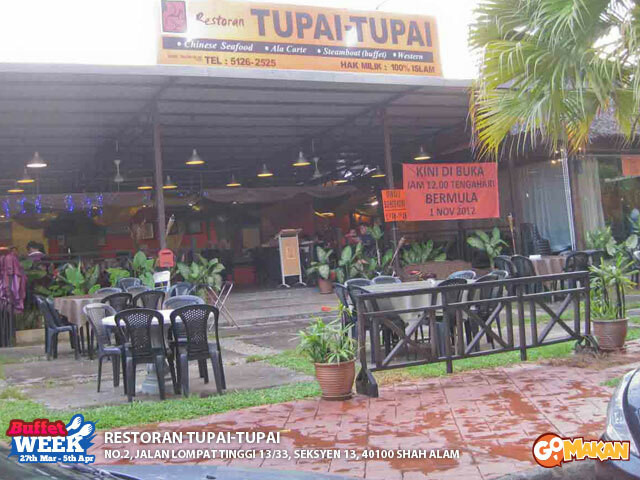 Restoran Tupai-Tupai offers a fair variety of food for steamboat like prawns, fish fillets, chicken, fish balls, mushrooms, vegetables, noodles, and also warm dishes like fried rice, pasta and fried noodles for customers who want a change in between their steamboat meal. Address :No 55, Jalan Puteri 1/6, Bandar Puteri,47100 Puchong, Selangor. Price: RM 32 nett per adult, RM 18 nett per child. Shabu-shabu is the Japanese variation of our local steamboat, and the term has since been loosely adopted for Taiwan or Japanese style steamboat. Restoran Shabu-Shabu’s buffet is more akin to local steamboats than their international counterparts. An interesting point is the food for the shabu-shabu here is served on a revolving belt a.k.a. kaiten style like many sushi eateries. Address :T18-22.3nd floor,Lot 10 shopping centre,, Kuala Lumpur. Hours : 11 am – 11 pm daily. Family Package RM55.99+ (2 adults + 2 Child) Sunday only. **All promotions are not valid on Public Holidays and on the eve or day of festive celebrations. *Surcharge of RM5 per person is applicable on public holidays, on the eve or day of festive celebrations. 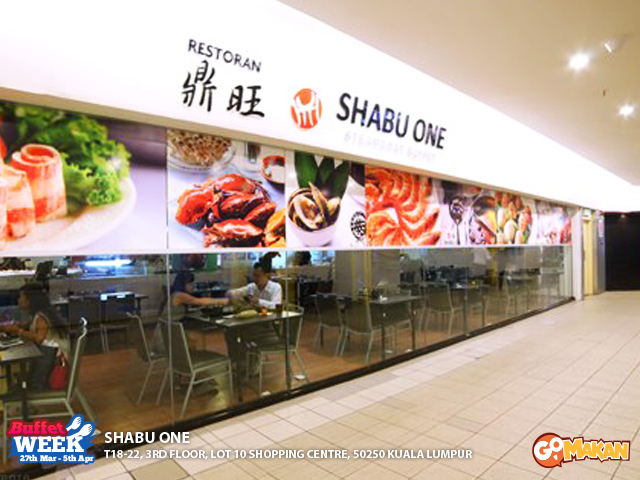 Operating in Lot 10 shopping mall, Shabu One enjoys a healthy patronage of shoppers and families. 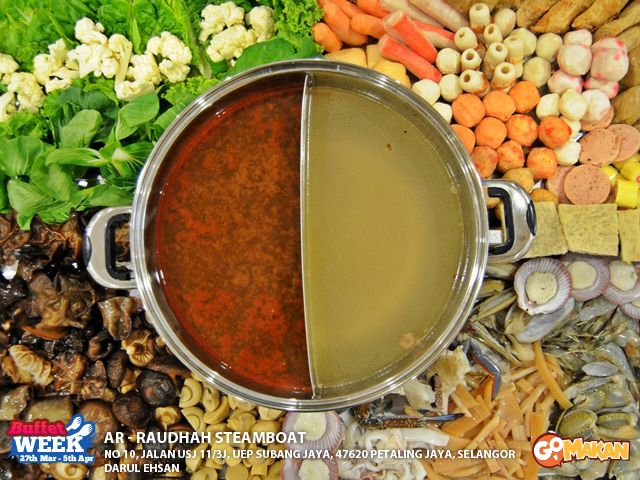 Four types of soup are available for steamboat; herbal, mah lat (numbingly spicy), tomyam, and clear soup. This buffet is influenced by Taiwan cuisine and includes several Taiwanese style dishes and desserts. 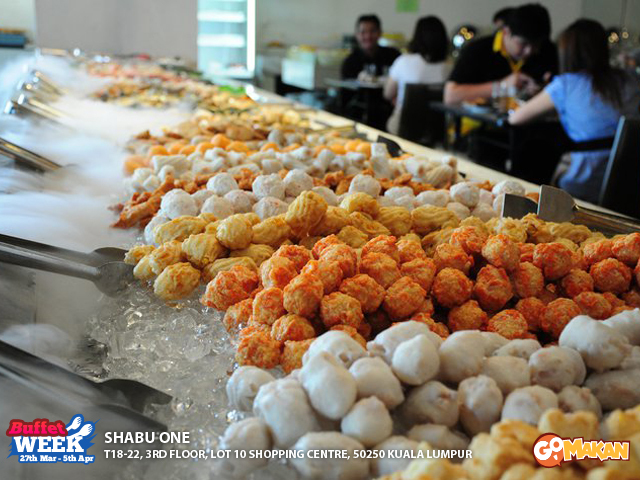 Shabu One also offers Taiwanese a la carte dishes which customers can add on to their buffet. 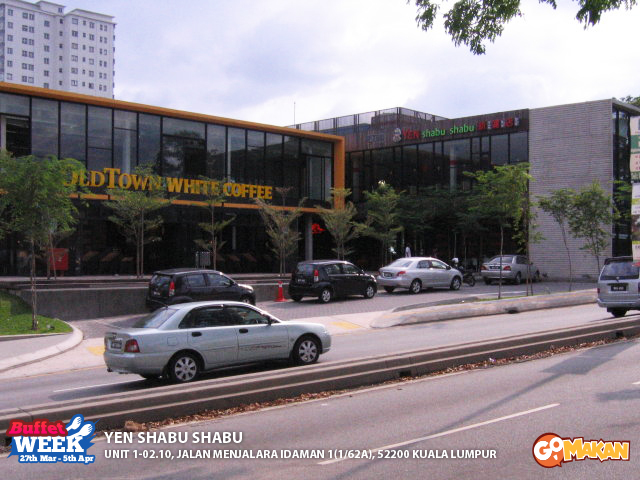 Address :Unit 1-02.10, Jalan Menjalara Idaman 1(1/62A), 52200 Kuala Lumpur. Hours : 11.30am – 3.00pm / 5.30pm – 11.00pm. Price: RM31.80+ per adult, RM15.90 per child. 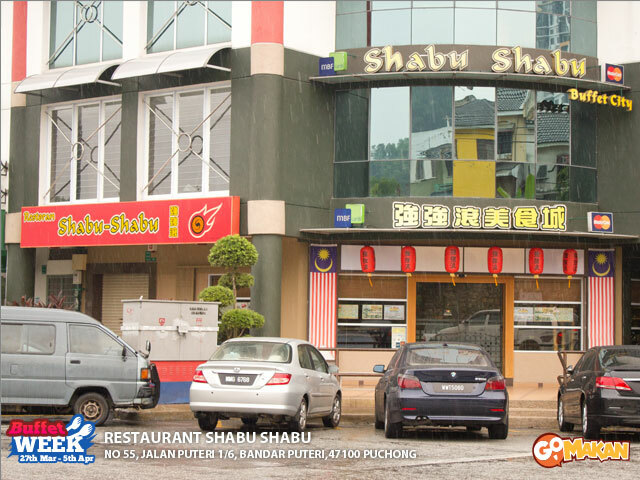 Choose from tomyam soup, clear chicken soup, Chinese herbal soup and hot pepper soup to fill up your pot for shabu-shabu. Food is served on small plates via conveyor belts like many sushi restaurants. 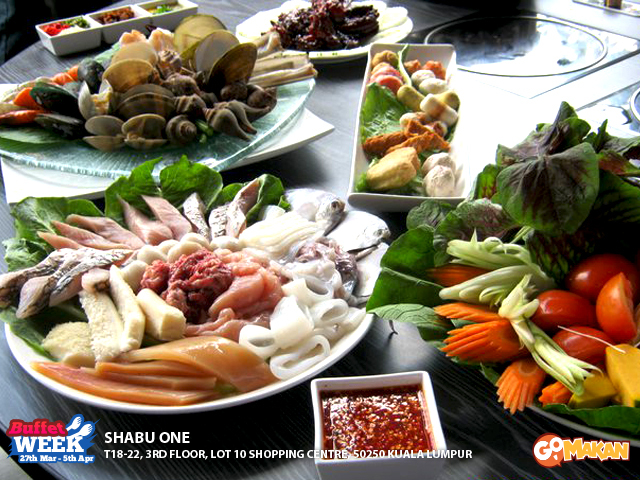 Yen Shabu Shabu is non-halal, thus pork slices is available for shabu-shabu and alcohol may be ordered with your buffet. Location :Mont Kiara, Paradigm Mall, Pavilion. Craving for both shabu-shabu and sukiyaki at the same time? 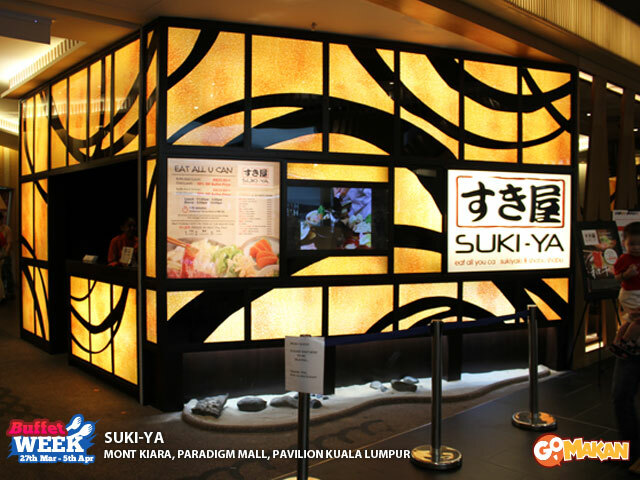 Head on down to Suki-ya! Suki-ya offers four types of soup; shabu shabu (clear base), sukiyaki (sweet sauce base), kimchi (spicy), and miso, of which customers can choose up to two types of soup for their half-and-half pot at their table. A bar of vegetables, mushrooms and other ingredients is set up while free flow beef, chicken or lamb may either be ordered from the staff. Phew! That’s a lot of steamboat restaurants! 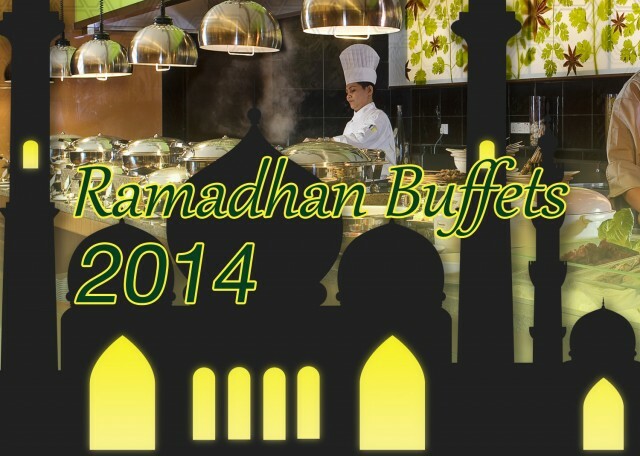 Craving for other types of buffets?